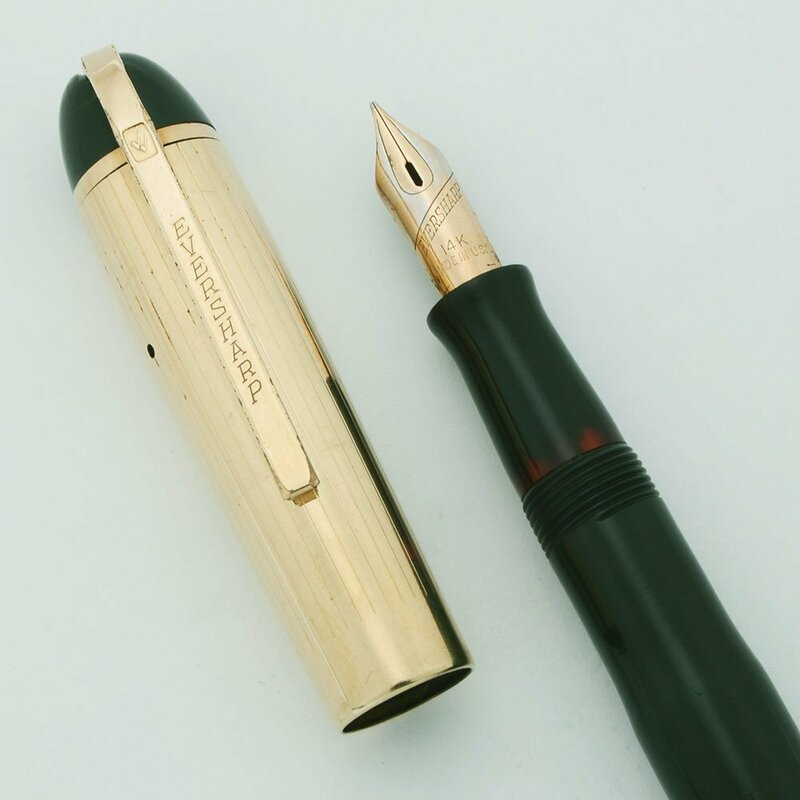 Eversharp Skyline Demi fountain pen in forest green with a less common "Longitudinal Lined" gold filled cap. Manifold 14k fine nib. Very nice condition. Fully restored and working well. Filling System Lever filling system. We've restored it with a new sac and tested it extensively. It's working well. Color Forest Green barrel with gold filled cap. This version of the cap has lines running lengthwise and referred to as the longitudinal lined cap .... it is less common than the version with rings running around the cap. Nib MANIFOLD FINE14k nib. The nib has nice tipping material and writes very smoothly. . Condition Very nice condition. The amber viewing area of the section is mellowed but transparent. The section and barrel have horizontal scratch lines where the cap fits as well as some other scratch marks. 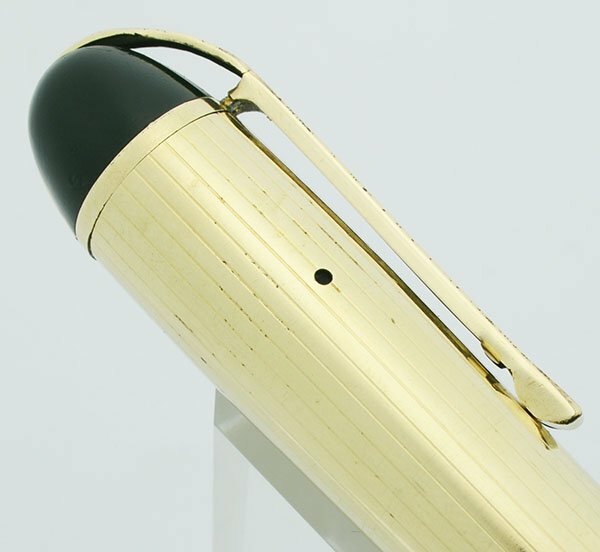 The end of the barrel has bite marks and scratches. The cap has some small dents, dings, and moderate scratching (see photos). The top of the cap also has what appear to be bite marks. The lever has some plating wear. The end of the clip has a small dent. There is no personalization.